Government has expressed concern that high lending interest rates have continued to hamper growth and development of micro ,small and medium enterprises in Zambia. Finance Minister Margaret Mwanakatwe says government through the Central Bank will however continue to engage commercial banks in a bid to address this situation. Ms. Mwanakatwe made this assurance last night in Lusaka during the launch of the Zambia Credit Guarantee Scheme Limited (ZCGS), a startup company that was incorporated last year. And Ms. Mwanakatwe is certain that the ZCGS, which was incorporated to promote growth and competitiveness of SMEs,� will help create a conducive microeconomic environment. 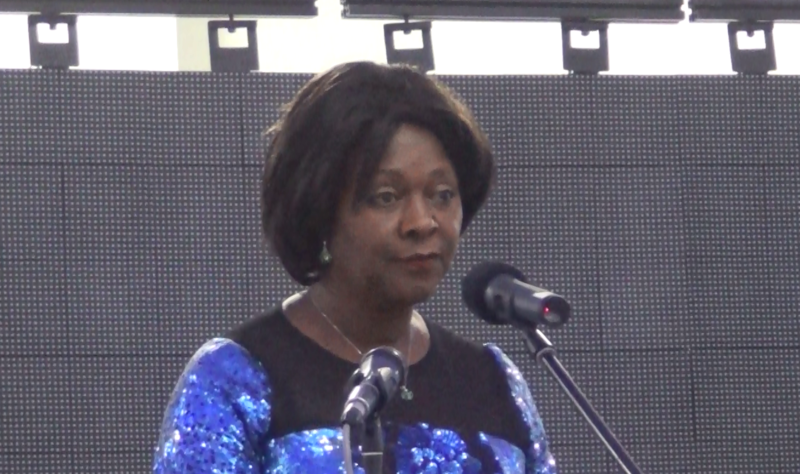 She says government will remain committed to ensuring the long term sustenance and viability of the scheme in order to sustainably grow micro-small and medium scale enterprises in the Country. Ms. Mwanakatwe has� also challenged the management and board of the ZCGS to transform the institution into an effective world class credit guarantee scheme. Speaking at the same launch International Trade Centre (ITC) Executive Director Arancha Gonzales pledged to help the Zambian government implement the Scheme. She says the ITC is ready to help Zambia to empower small and medium enterprises. And ZCGS Chairperson Chisha Mwanakatwe has assured government that the scheme will strive to maintain the highest standards of transparency and accountability.